When the Concorde flew, Seattle had been through years of hell as the American SST was canceled. Four decades later, things look very different. Forty years ago today, two Concordes took off from London and Paris on the first supersonic flights with commercial passengers aboard. It was a stunning achievement for British and French engineering and cut the flight times of British Airways to Bahrain and Air France to Rio de Janeiro by half. To many, this seemed like the future of flight. It was especially painful to Seattle. 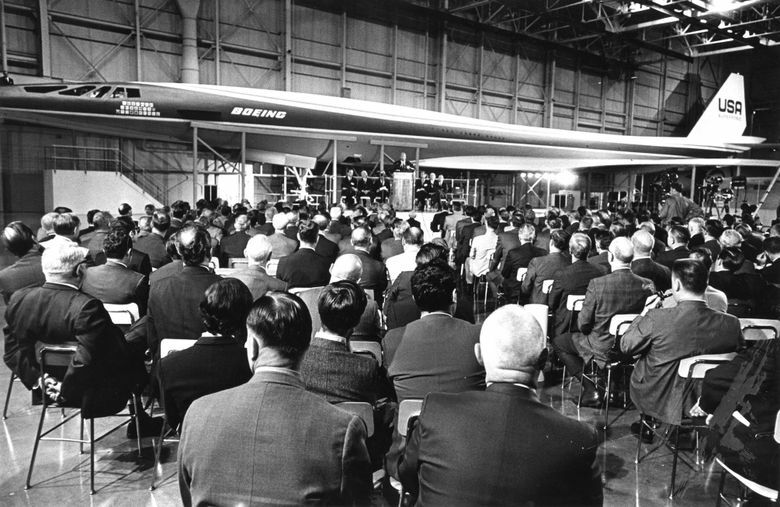 Although President Kennedy had supported an American supersonic transport (SST) to compete with the Europeans and Soviets, it was eventually abandoned over concerns about costs and damage to the environment. Today, the Concorde is retired, one sitting in the Museum of Flight like a war trophy. The venerable Boeing 737, first developed in the late 1960s, is more popular than ever. Supersonic commercial travel never overcame its cost problems. The Concorde was a luxury cruise, finally done in by expense, age and a catastrophic 2000 crash in Paris. It marks another lesson in extrapolating the future based on the present.